We cannot see, hear or touch resistance, but we know it’s there because it’s something that can be felt. Resistance shows up in many forms - in the physical, mental and emotional body. Once we identify it, we can then work towards releasing it, and move closer to a life that feels free. Each event in our life leaves a physiological imprint on our bodies. Each time we encounter a traumatic experience or situation of extreme stress, it gets stored away. We resist our past and the future, our thoughts, fear of the unknown and being wrong. All of the times when we’ve felt rejected, the times when we should have spoken up, and all of our heart breaks and sorrows that we don’t fully experience and process, gets stuck in the body. Our tendency is deny, avoid and numb ourselves out from deeply getting in touch with our feelings and beliefs. When our emotions remain unnamed and out of reach, they create havoc in our lives and poison our well-being. As a healer, I help connect you to your truth, purpose and light. I guide you to confront all of the things that you’ve buried beneath the surface. Through the process of setting powerful intention, identifying, confronting and releasing resistance, I help you get closer to creativity, freedom, grace and love. HOW DOES RESISTANCE SHOW UP FOR YOU? WHAT IS YOUR STRUGGLE? 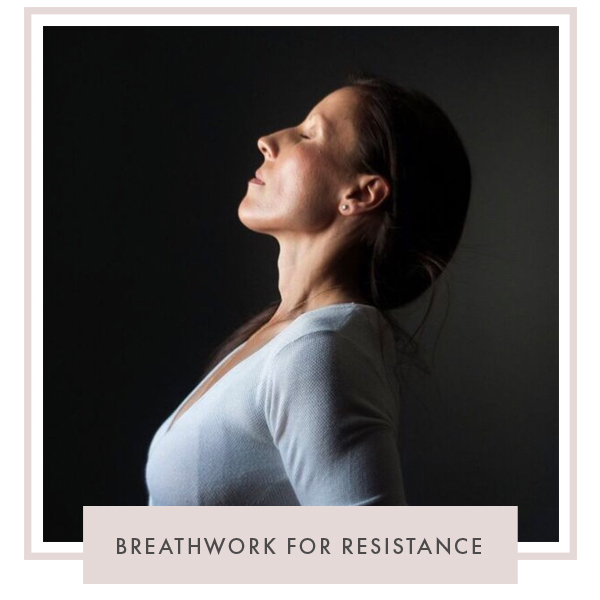 Sign up below to receive words of wisdom, future events, and a complimentary breathwork meditation.